I’ve studied for five years in Siena at the University. I would run in the morning to my classes, head down and neck tucked in my scarf in winter, a slower pace in summer, always in the shade to avoid the scorching sun. 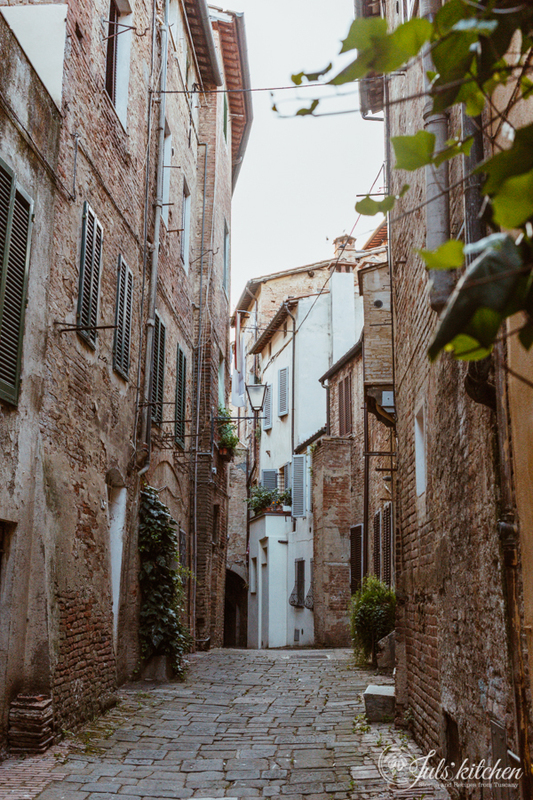 I loved Siena, as I love Florence, but I remain a country girl at heart. I don’t belong to Siena as I don’t belong to Florence, but I learnt to appreciate their different characters: the first markedly Medieval, with its life revolving around the contrade and the Palio, the second shining in its Renaissance glory. I live happily in between Siena and Florence, there are days when I crave for the Florentine life, the walks along the Arno river and the lively life of Santo Spirito and San Niccolò, other days where I feel attracted by Piazza del Campo, the red bricks of Siena and the grilled meat feast you can enjoy during a dinner in a local contrada. This is a list of personal favourites collected throughout the years, a food oriented city guide of Siena, something I’ve been meaning to share for a while. 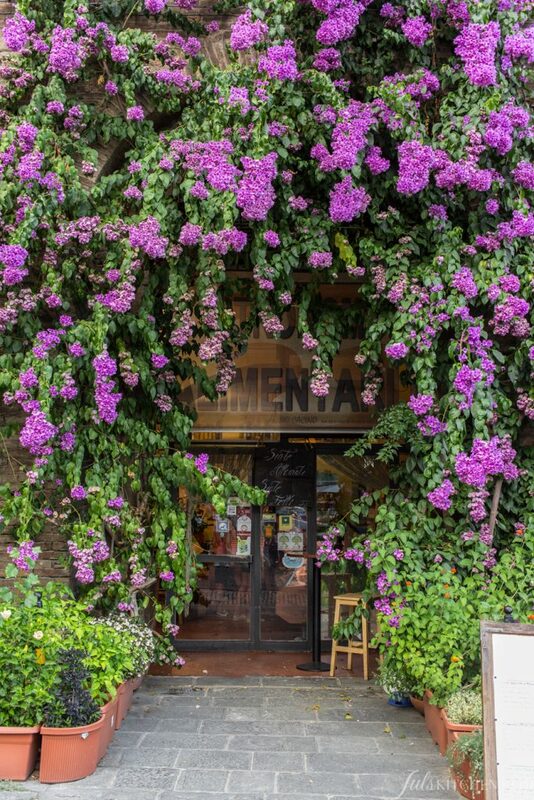 It is quite simple to drive to Siena, a medieval town completely surrounded by the city walls with big gates, the ancient porte, which let you in. There are many car parks around the walls, most of them are payment parkings. My favourite one is the parking inside the Fortezza, next to the Stadium, which is the closest to the city centre. 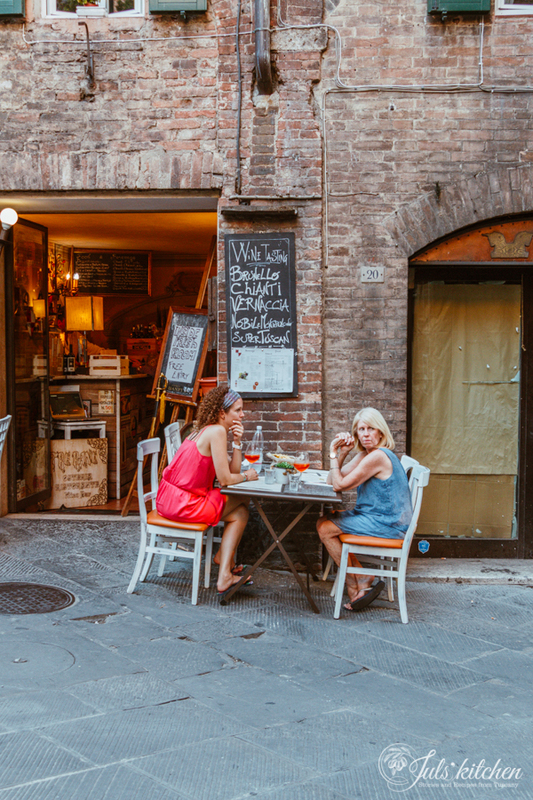 Visit this page for directions and tariffs, while here you find a list of more parking lots and rates in Siena. Next to the Fortezza there’s also a free car park where you can leave your car for free for the whole day, if you are quite lucky or you are visiting Siena in low season. I strongly suggest you to check this car park first! 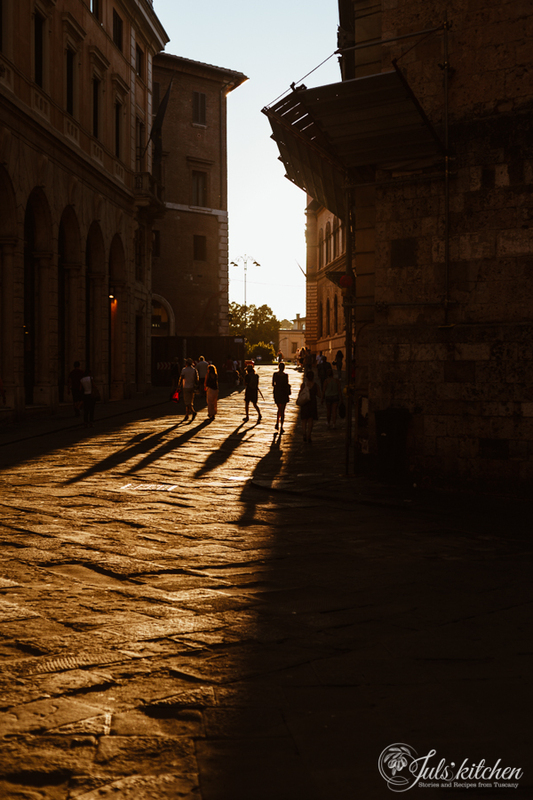 If you come from Florence, the bus is a good idea, too, as in slightly more than an hour it will leave you just a few steps from Il Corso, the main, mainly pedestrian, street which crosses Siena. Take the bus Siena Rapida from the Santa Maria Novella bus station in Florence. Check here the timetable. I tend to answer October to this question for almost every area of Tuscany, as the countryside shines with its brightest colours, the weather is usually warm and sunny, with colder nights which cover the hills with a misty blanket in the morning. Most importantly, you get into the low season, so you are likely to find less tourists crowding museums, streets, shops and restaurants. Siena makes no exception. 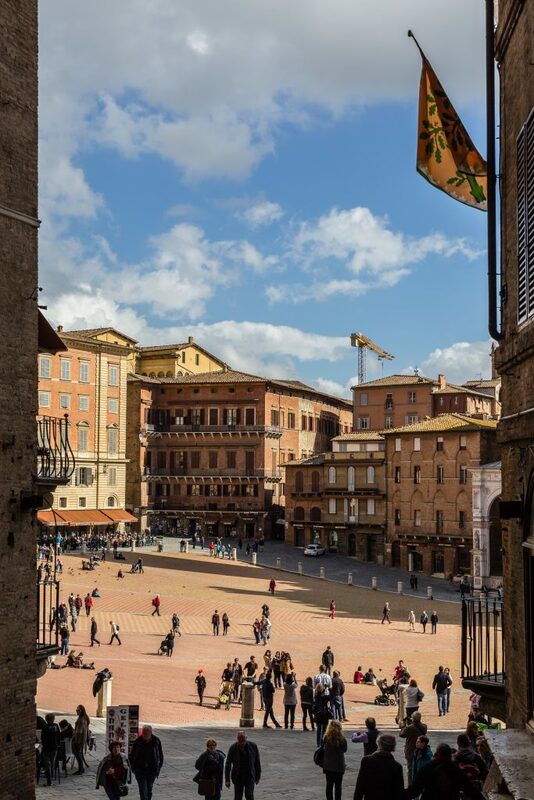 Yet, if you are adventurous and if you can stand the summer heat, July and August are the months when you can enjoy the festive atmosphere of the Palio di Siena. Read more about it here. Pasticceria Buti, Viale Vittorio Emanuele II. 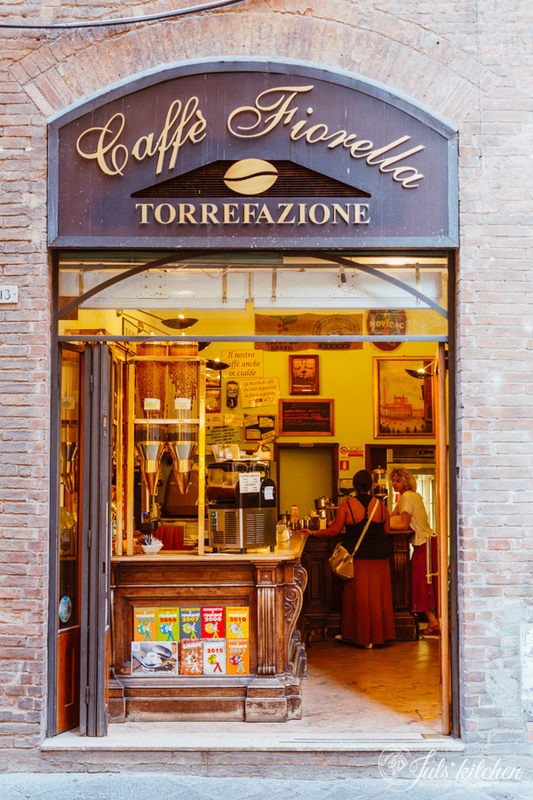 If you search for the typical Sienese seasonal sweet treats as pan co’ santi, panforte, ricciarelli and cavallucci, this is the place to visit. Just outside Porta Camollia, it is also famous for their caramellato, a shell of puff pastry glazed in caramel and filled with chantilly. Morbidi. 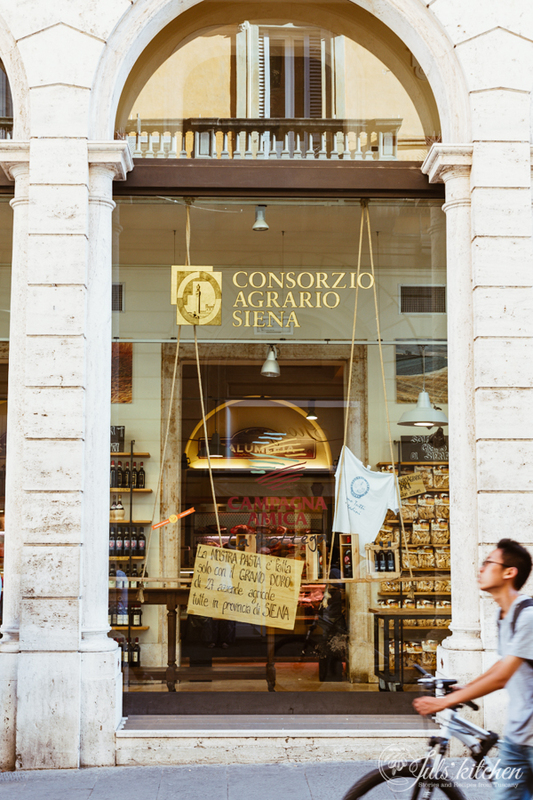 A delicatessen and gourmet shop spread on three floors in Via Banchi di Sopra 75, a cave of wonders, where you can purchase speciality food and wine to take home. 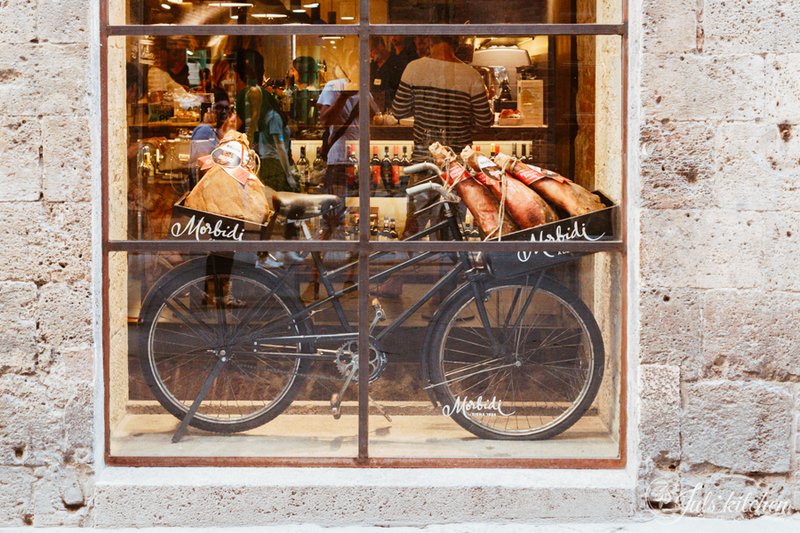 You can also enjoy a meal or an aperitivo at Morbidi Gourmet, where you can order wine, artisanal beers and cocktails accompanied by a generous spread of tastings of local recipes and products. Good quality and good prices. Gino Cacino, in Piazza del Mercato 31. You’ll love dearly this deli where you can sit in high stools and enjoy enormous boards crammed with cheese, charcuterie, spreads and morsels made with the most unique products. The cheese is mainly from Tuscany, with a few incredible blue cheeses from France and England, the fruit compotes and spreads are all home made, the pairings imaginative, brave and impeccable. Their long list of panini can satisfy even the more curious gourmand. 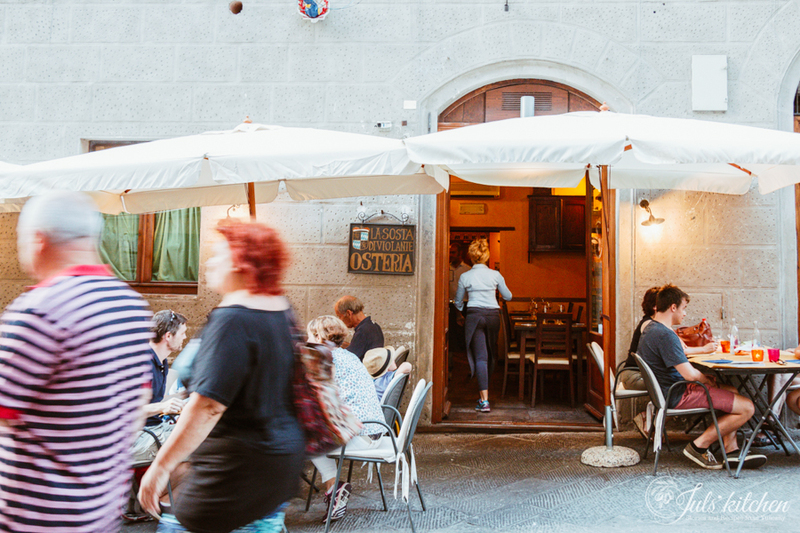 It usually closes down at 8pm: it is therefore the perfect spot for an aperitivo, even though I doubt you’ll be able to sit for dinner after one of Angelo’s taglieri! Salefino Vino e Cucina, in Via degli Umiliati 1. Grab a coffee in the morning, sit down for lunch or for dinner or pop in for an aperitivo, you won’t be disappointed. The atmosphere is elegant and modern, not the rustic feeling you would get from the classic Tuscan trattoria, but the food is honest and excellent ingredients shine in every course. La sosta di Violante, in Via Pantaneto 115. Probably my favourite restaurant in Siena. Here you can taste the traditional Tuscan cuisine: never boring, never obvious, with great ingredients and a good dose of comfort and tradition. Te ke voi, in Vicolo San Pietro 4, just a few steps from Piazza del Campo. A tiny spot with just a few tables, they do not accept reservations, so be there early in the evening for dinner. Te ke voi? is a transposition of the slang of young people and means literally what d’ya want? Burgers made with local chianina cow meat, local cheese, fragrant bread, real fried potatoes, cheese and charcuterie boards, fried dough and pizza. When local producers meet the take-away philosophy. L’orto dei Pecci, in Via Porta Giustizia. It is not far from Piazza del Campo, though it’s like being in the countryside. L’orto dei Pecci is the perfect place for families with children who love to play outside, there are animals to pet and a medieval garden with herbs and vegetables. Simple honest food, incredible view and friendly atmosphere. 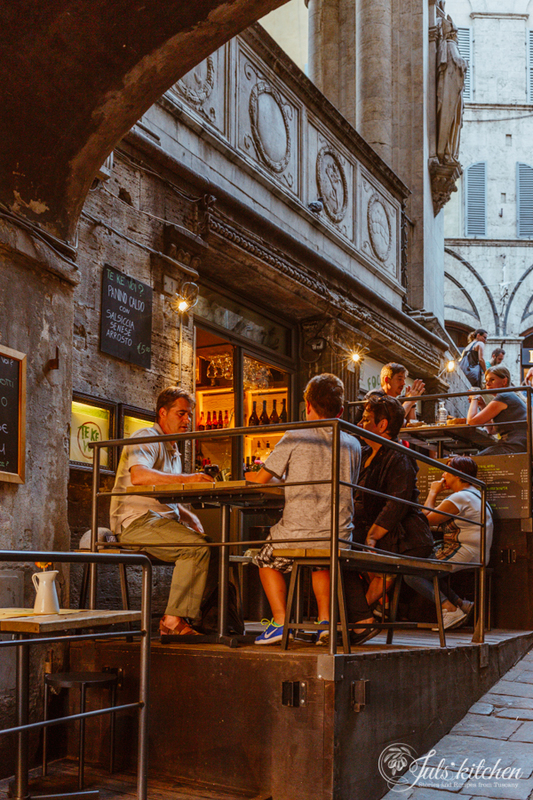 Try also Osteria Il Grattacielo, in Via Pontani 8, for a quick unpretentious meal, Taverna di San Giuseppe, in Via Duprè 132, for an unforgettable dinner in an historical building which dates back to the 1.100, Osteria Castelvecchio, in Via di Castelvecchio 65, if you feel like having fish, Grotta Santa Caterina da Bagoga, in Via della Galluzza 26, for typical and historical dishes, and Osteria del Gatto in Via San Marco 8, where you can taste the famous bistecca fiorentina, the thick beef steak you are supposed to eat al sangue. Antica Drogheria Manganelli, in Via di Città 71. 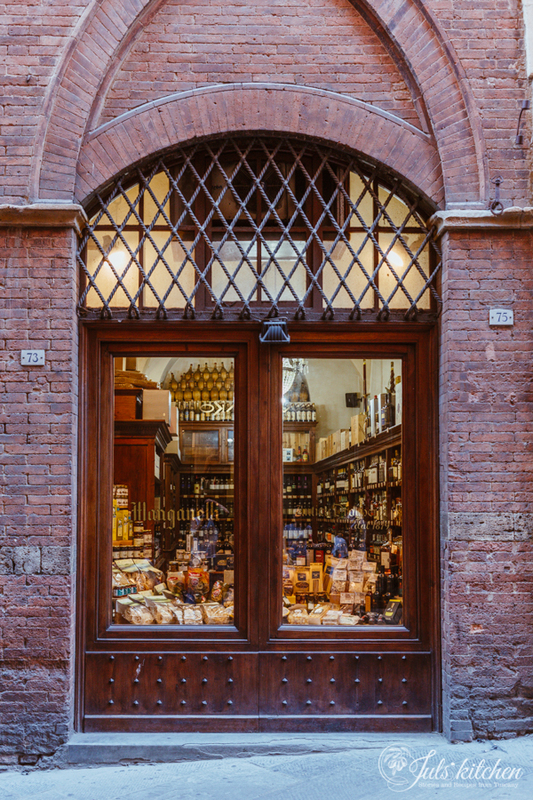 Founded in the 1879, it’s a shop to treasure where to buy spices, Sienese cakes and cookies, wine, liqueurs, dried fruit, pasta and specialties of the town and region. Consorzio Agrario, in Via Giuseppe Pianigiani 9. It looks like a small supermarket, but it’s the place to go to buy most of the local products, from bread to wine, olive oil, pasta, cookies, charcuterie, fresh meat and other typical ingredients. It is the right place to buy also a slice of pizza or a satisfying panino. La bottega di Solimano, in Via Delle Terme 19. 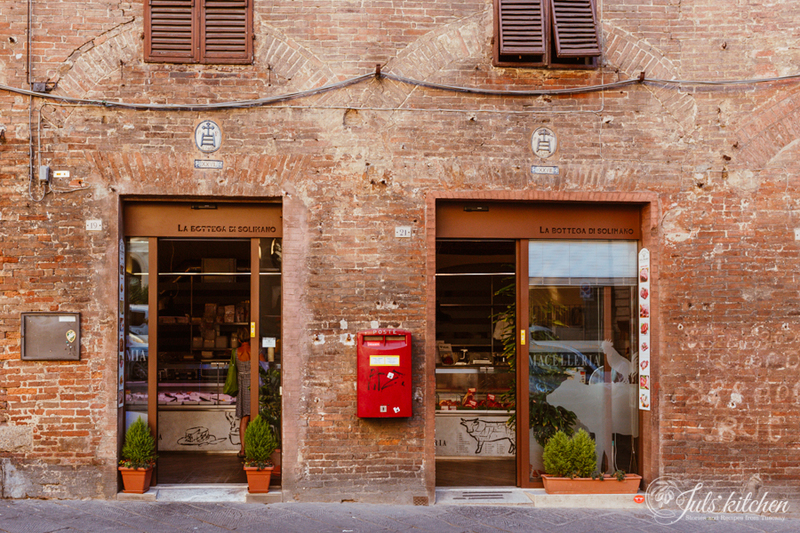 A butcher shop and a deli, you can buy here also ready made dishes of the Sienese tradition such as trippa, baccalà and scottiglia. 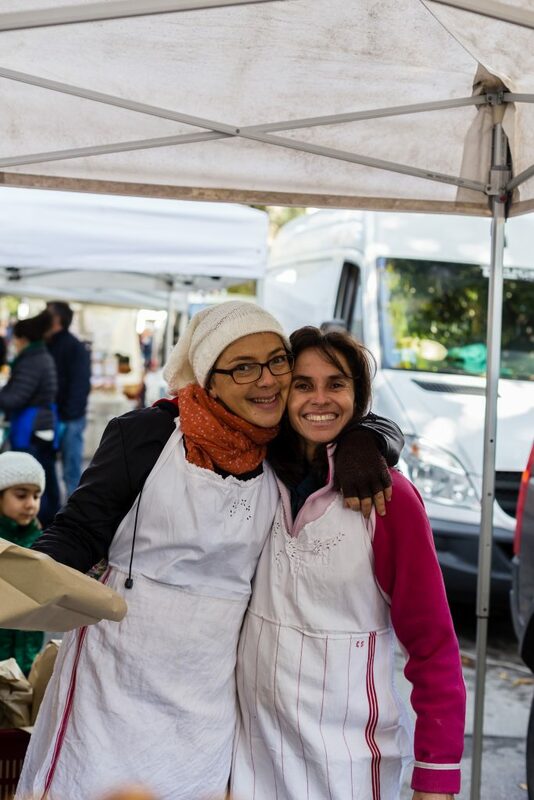 Each Wednesday morning there’s the market in the Fortezza area. It is a typical Italian market, with clothes, shoes, flowers, pots and pans, and food. 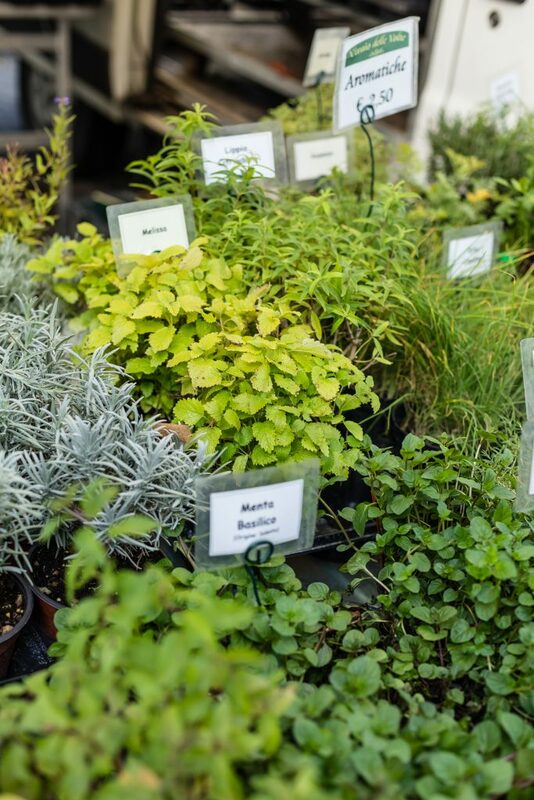 On Friday morning in the same area you can find the local farmers’ market, with wine, olive oil, honey, fruit and vegetables, cookies and bread, fresh herbs and cheese. There are a few rules to recognize a good gelateria: ingredients must be in season (no strawberry gelato in September, for example), colours must be natural (avoid that blue gelato and that bright green pistachio, it look radioactive! ), and the gelato must be kept in refrigerated, sometimes even covered, containers. Do not trust a gelato that has been piled high! This said, I really like the gelato at Caribia, in via Rinaldini 13, a cross street of Piazza del Campo. Pizzeria Poppi, in Via Banchi di Sotto 25. I come here since my University years, it’s my favourite pizza al taglio in Siena. Choose your favourite pizza (I love the focaccia with cheese and ham) and be ready to burn your mouth, it’s impossible to resist and wait until cold. Vicolo degli Orefici. You must look for this tiny back alley, as it is a cul-de-sac, so you won’t find yourself here unless you are specifically searching for it. 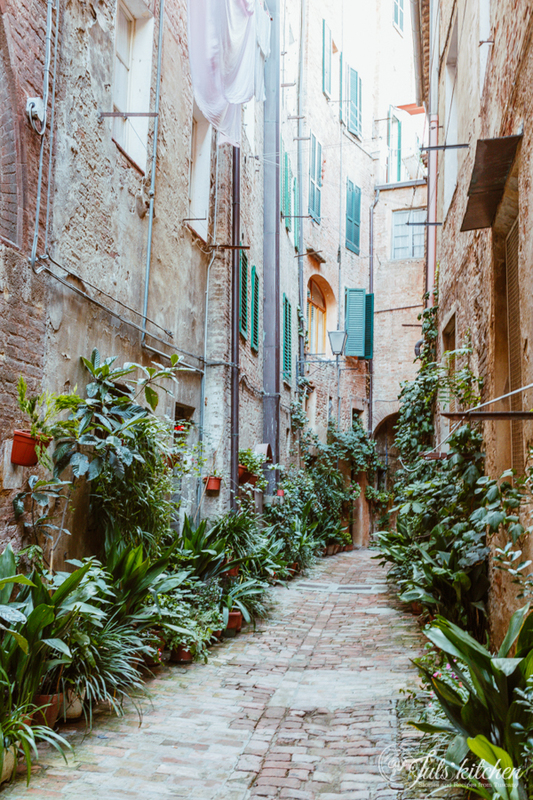 It’s like being somewhere else, the alley is completely decorated with plants, quiet and slightly eerie. Listen to the people talking in the houses, smell what they are cooking and imagine how it would be to live here! Vicolo delle Carrozze. 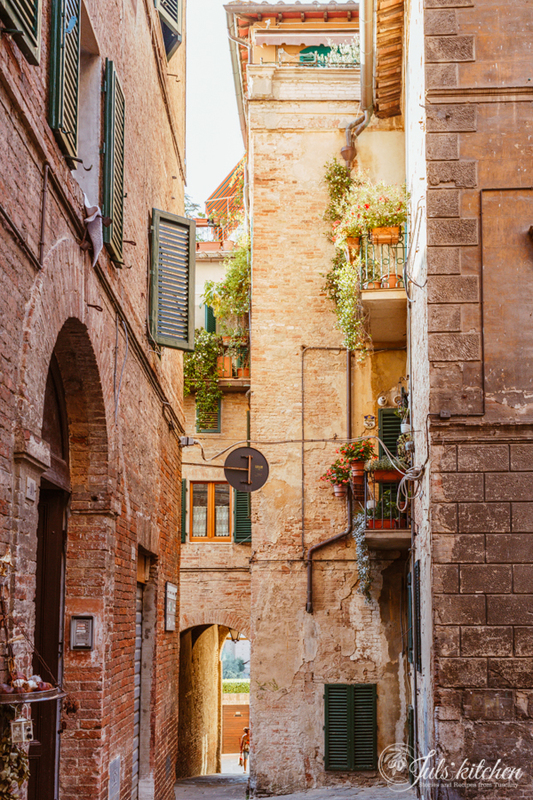 Another tiny and charming back alley, it dues its name (carrozza is a carriage) to the fact that it was used as a parking for the coaches and carriages of gentlemen staying in a nearby hotel. La Fortezza. On the top of the sixteenth century fortress you can enjoy a breathtaking view over the medieval city and the countryside that surrounds it. It’s a great place for a walk or a run. In summer there’s the cinema sotto le stelle here, an open air cinema. Alvalenti is a local artist, illustrator and cartoonist. 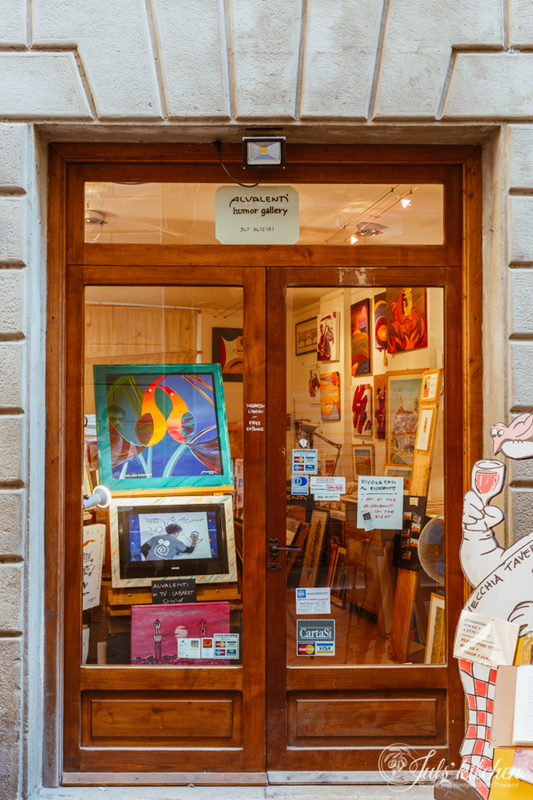 The shop and art gallery is covered with his colourful and happy drawings. Siena la città magica (the magic city) is my favourite drawing. Find his shop in Via Beccheria 7. In Via di Città 62, the Libreria Senese is an independent book store where you can buy art books, photography books, novels, books for children and a good collection of books in foreign languages and cookery books. Yes, you can find here also my book, I love Toscana (wink wink). 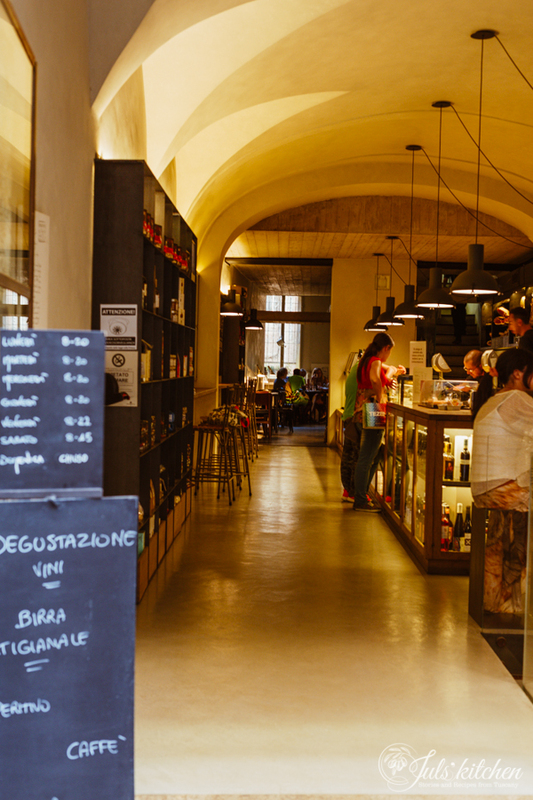 Libreria Mondadori, in Via Montanini 112, has a good selection of books dedicated to Siena and Tuscany, including many interesting cookbooks. Here you can buy all my recents cookbooks. Ask Filippo for advice! From the beginning of Carnival to the 19th of March, St. Joseph, there’s a mixed smell of fried food and sugar in the thin winter air. This festive smell is due to the rice fritters stall, a wooden and mountain-like structure, which appears in the scenery of the Campo’s square for a month or so, selling those that to me are the most delicious rice fritters in the world. Read more about this here. 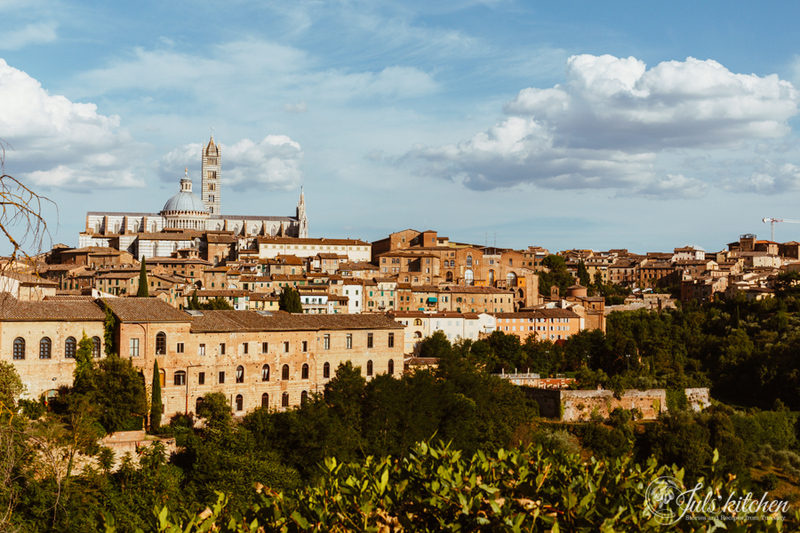 The countryside surrounds Siena and its medieval walls, you can see olive groves, vineyards and gardens all around the town. It is therefore easy to leave the paved streets and the red brick walls to lose yourself into the countryside. If you don’t feel like driving and appreciate some light exercise, rent an eBike at Siena Bike Shop and ask them which is the best itinerary to enjoy the countryside around Siena. I’m not a sportive person, but I found the whole experience extremely enjoyable and liberating. They have also proper bikes for serious cyclists who are not scared by the Chianti ups and downs. Ride to La Taverna di Vagliagli, in Via del Sergente 4, Vagliagli, a lovely restaurant we discovered almost by chance, with a super interesting Tuscan menu, chicken liver crostini to die for, a hearty serving of pici and, most importantly, a fireplace where to grill chicken, spiedini and Fiorentina steak. If you feel like exploring the Chianti area by car, you might want to consider a wine tasting at Querceto di Castellina, a family-run organic winery and agriturismo high on a hilltop in the Chianti Classico. Thank you for this informative post. I’ve saved it for my next visit to Siena which will be next year. Thanks again! So many excellent recommendations! Wonderful photos as well. Im traveling to tuscan next week and cant stop reading all of your recomendations !!! Cant wait to visit all of those places you wrote about. Can you recommend a truffle hunting hike? Can you recommend an olive orchard for olive oil tastings/purchase? – Olive oil (and wine) tasting at Dievole: https://www.dievole.it/en/ very close to Siena! I’ll be in Siena in 2-1/2 weeks. I made lots of notes! Thanks for all the info. We will be driving there. Hoping because it’s February the crowds won’t be there! That’s fabulous! you will enjoy Siena in February! be sure not to miss the rice fritter hut in Piazza del Campo!